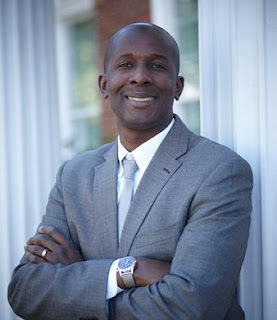 Damon Tweedy is the author of the new book Black Man in a White Coat: A Doctor's Reflections on Race and Medicine. His writing has appeared in a variety of publications, including The New York Times and the Chicago Tribune. He is an assistant professor of psychiatry at Duke University Medical Center, and he lives near Raleigh-Durham, North Carolina. A: I didn’t set out to write a book like this….In my first year of medical school, however, I kept hearing from my professors how “being black was bad for your health” without much explanation as to why. They would say [a given disease] is more common in black people and that black people [who had the disease] had worse outcomes. They didn’t discuss why or what we could do about it. It had a lot of personal meaning and resonance. Early in my first year of medical school, my grandmother died from some of the very diseases that my professors said were more common among black people; six months after she died, I was diagnosed with high blood pressure. It came as a shock to me. What they were talking about in the classroom had personal meaning to me. I wanted to explore that. Q: You ask the question, “Do I have a special role to play as a black physician?” What is your answer? A: It’s something I still grapple with. On some level I feel I do. It’s not only about providing hands-on health care to the community, but it’s also about education. A lot of health is self-care. There’s also another piece about being a positive example; it’s still a struggle for so many young black men in particular. Q: In the book, you provide examples of discrimination as practiced by doctors. What are some of the more common ways in which this manifests itself? Is it overt or more subtle? A: There was a time 50 or 60 years ago where we’re talking about things that were overt—separate wards, for example…[now it’s much more] subtle. I don’t think doctors are intentionally discriminating against black people, but sometimes black people – especially those from low-income environments – do get shortchanged when it comes to health care. In the book I talk about ways this plays out; for example, [the perception that] a black patient is less likely to follow treatment or advice, so maybe some options are not pursued as vigorously by the doctor as they could be. Q: In describing an interaction with some other doctors and a black patient, you write, “I had a foot in both worlds, but didn’t have two feet in either.” Did you overcome that feeling, and if so, how? A: I think it’s something that many successful black people struggle with, navigating between the predominately white world and the majority-black one. I’m not sure if you ever completely overcome those anxieties. It evolves at different stages of life. Sometimes you’re more comfortable in one than the other. I grew up in a certain kind of way, and a lot of the patients reminded me of people [I grew up with]…but I’ve spent much of my adult life around an entirely different group of people-- navigating two different worlds—it’s a process. It evolves. Q: You discuss your own health issues throughout the book. How have they helped you treat your patients? A: I focus in particular in the book on high blood pressure. First, I was shocked by the diagnosis, as I looked healthy on the outside. But over time, having access to the information, initially making changes, then struggling, not making the dietary changes I should—as I thought about it more, [I saw] there’s a cultural element to it, this is the way I grew up. There’s also a side that’s struggling with the assimilation process. [Eating] food that’s associated with well-to-do white people, [it was like] giving up part of my identity. It was what the foods represented. Realizing that, coming to terms with that, really helped me. Q: You write of African-American health issues, “Despite the tragic stories I’ve written about in this book, there are clear signs of progress.” Do you feel optimistic looking ahead? A: Yes, but I think it’s a ragged road. It’s not smooth. You look at data from 30-40 years ago, disease outcomes and the life expectancy for black people have improved significantly. That said, there are a lot of barriers in the way. Progress is still a long-term proposition. A: For readers less familiar with African-American health issues, I want them to understand that race is an important issue in medicine, and get a sense of the different ways it’s important. There are health issues about black people being in segregated communities, about not having health insurance, and there’s also the side about the doctor-patient relationship. I want people to get a real appreciation of that. People have written about it in a scientific way, but I want people to see it in a real, human way. For African-American readers, I want to give voice to some of their stories and help encourage them to take better care of themselves. The other goal—I wrote about my experiences with white patients, to highlight the [opportunity] for cross-racial relationships even when at first it seems not possible. These relationships are examples of how to move beyond [the barriers] that continue to divide us more than they should. A: I’d love to. 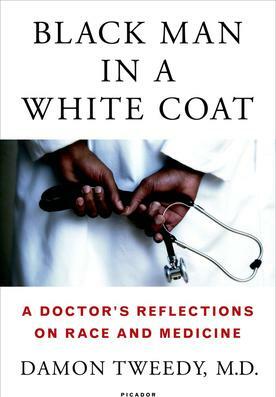 This book is mostly about race and my early years as a doctor. I’d like to write a book about psychiatry. A: I think that Black Man in a White Coat can appeal to different audiences, those interested in traditional medical memoirs, as well as those who enjoy reading about the African-American experience. I hope that readers coming to it from one perspective will hopefully learn a few things about the other.